Many centuries ago, the High Elves were given the opportunity to create great magical whirlwinds, with the help of which they protected their territories from unexpected guests. With the help of this vortex, they prevented the appearance of dark demons, and today it is used in the form of a shield to block the way for demons to our world. Many centuries have passed, and all this time it was used to contain evil, and as a result of this, its magical energy is running out. Act urgently, and make sure that this vortex is stabilized. It is necessary to replenish its energy reserves, and then use it to protect the universe from Chaos. 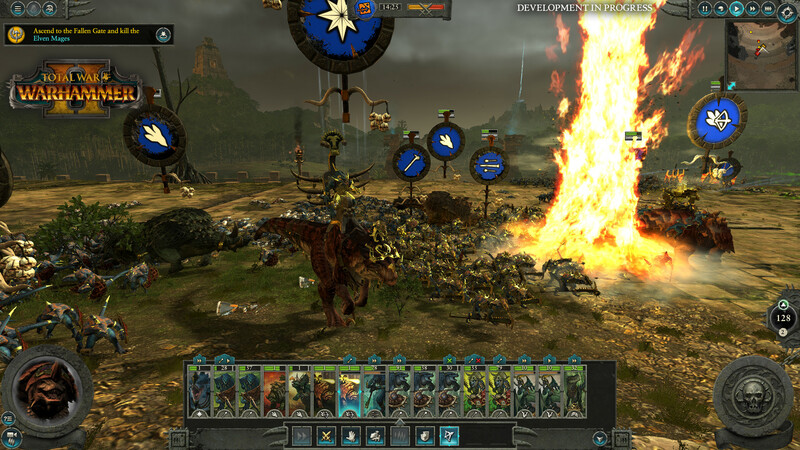 Version of the game 1.5.0, completely identical to the activated licensed copy of the game in the Steam client. ​You meet with the magical priest Mazdamundi. He manages the lizards, has a huge power over them, down to complete obedience and submission. Everyone is ready to obey without question any of his orders. Despite the fact that Mazdamundi intends to restore the magical power of the vortex, he worships the laws of the Ancients. And this suggests that his goal can be changed at any time. Among the new heroes you will meet the witch-king Macelith. He is an adherent of evil, destroys and wreaks havoc. At the slightest decrease in the strength of the vortex, he feels it, and seeks to use this moment for his own purposes. His desire — with the help of the dark elves to become the owner of the vortex, and then use it in their insidious plans. Note: game is updated to version v1.5.0 and ALL DLC! This game has been updated 1-04-2019, 16:34 to the latest version v1.5.0. Ant, Be sure to update the game, try to add a separate link to the update. Hey guys will you release the Mortal Empires dlc combined with the full game once CA add the next update? 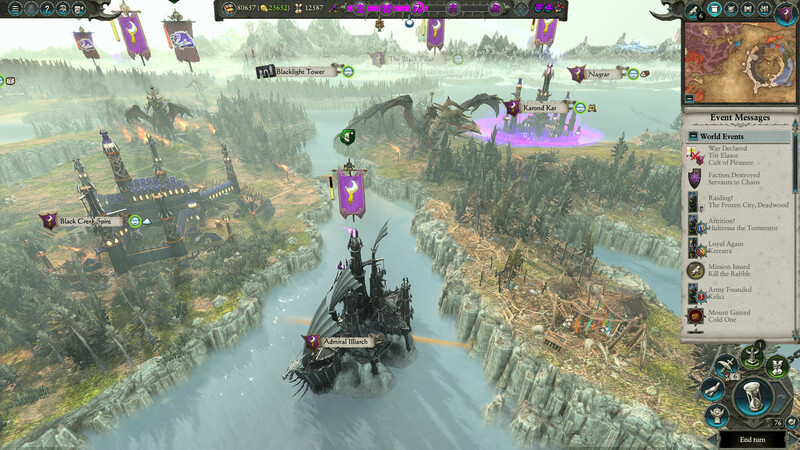 Because its currently very buggy and theres still a bit more content to come in the next full patch (Norsca faction from TW Warhammer 1 and it's foundation update). Also, another question is what is the difference between this site ? Is this site updated more often? Tibbs, The update will be with all the known fixes that it was most comfortable to play. This site updates every game to the current version, with all the fixes and changes. Thanks for the reply. So is this website the official skidrow site? Tibbs, Unfortunately, in our modern realities of the official site, there is not and never will be a skidrow. Releases from skidrow spread on fan sites. Hello. Are there are any news when Mortal Empire gets cracked and comes out? Which version is the updated? the Steam-Rip (FULL UNLOCKED) - STEAMPUNKS [ 26.58 GB ]; or (Steam-Rip) by Fisher [ 37.86 GB ]. I mean, which one do we need for mortal empires? At the moment, the first and second part of the game can not get a crack. Exactly there is no release. But the crack is not working yet. Only for those who have already bought a game. so i need to buy the game or i can't play it till the release of the crack? esis, hello, this method of installation is suitable only for those who already have the activation key of the game. You can download the game files from us, and easily activate the game in the Steam client. does this include Mortal Empires? CRACKED I mean?! MobinS, hi, Mortal Empires not cracked. Does it include Blood DLC for Warhammer 2? Halit, this version of the game does not contain this add-on. hi! when will you release a cracked new version? Reko, hi, unfortunately, because of the complex security system of the game, the exit hacked into question, there is no exact date. Hi. Are there are any news about Mortal Empires as well as about upcoming DLC Tomb Kings? 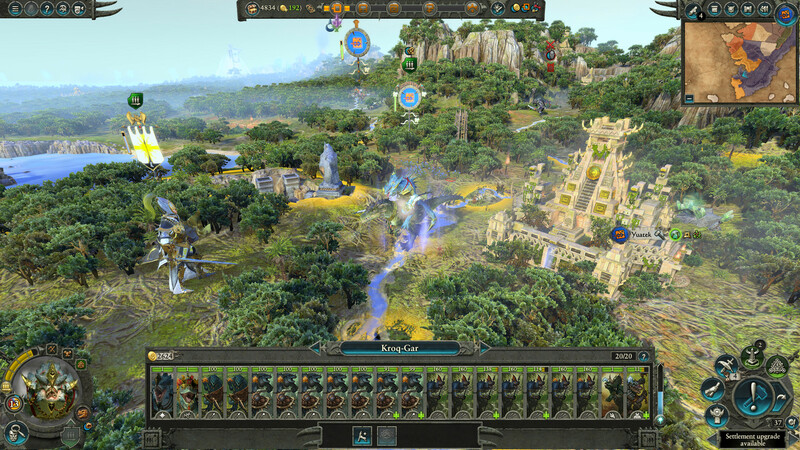 Fan, as for the addition of Mortal Empires - it is in the version on the second link, but only those who bought the game can play. There is not yet a rift for new additions and it is not known when it will be. Andrehw, all works, the main thing is to choose the appropriate version of the game and follow the instructions that are above in the description. The link for the 2nd install option (the one for those that already have the legit game on steam), does not work. Also does this work? Will I be able to play Mortal Empires, without having the first game? Thanks in advance. NoahS, At the moment, you can play only in the first version of the download. Is there any way to play mortal empire if I download the second one ? So you can play the combined game if you only bought the first game on steam and download the second game cracked?